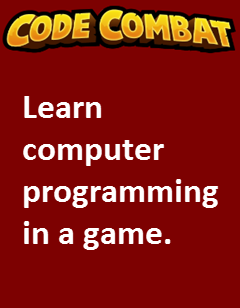 CodeCombat has helped more than 5 million players write more than a billion lines of code! 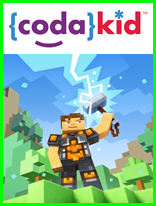 CodeCombat uses typed code, not drag­ and ­drop blocks, teaching students to use real typed code as quickly as possible. This is critical to learning essential computer science concepts, and allows for more creativity and flexibility. Students are free to solve problems however they see fit. 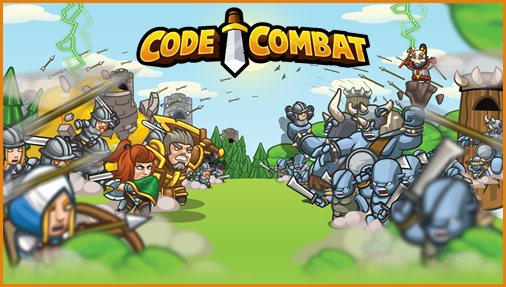 What's more, CodeCombat analyzes code as it is typed in real­-time, and offers a robust auto­-completing and hinting system that helps beginner and advanced students alike write proper, valid code. Basic HTML, CSS, Web Scripting and more! 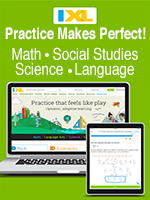 Math Library Operations, Graphics and more! 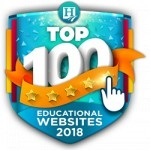 The CodeCombat gives teachers a class-in-a-box solution, with course guides, wikis and more -- everything you need to run a computer science class in your homeschool classroom today, no CS background required. Visit the CodeCombat website for more information. Read the CodeCombat FAQ page. 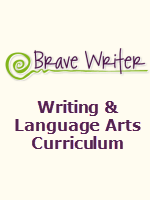 Review the course overview and levels. Shipping: Not applicable. This is an online subscription. Returns/Cancellations: If you are not completely satisfied with CodeCombat, you can request a full refund if you do so within 30 days of the date of purchase. Submit your cancellation request at our Contact Us page. System Requirements: CodeCombat runs best on computers with at least 4GB of RAM, on a modern browser such as Chrome, Safari, Firefox, or Edge. Chromebooks with less RAM may have minor graphics issues in later courses. iPads or Android Tablets are not supported at this time. 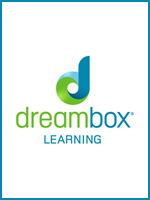 Enter the requested Teacher information below. Enter the requested information for the 1st Student below, and for additional students, if any.